After an 8 1/2-hour nonstop journey from Hamburg, Germany (XFW), the newest member of the American Airlines fleet has landed. 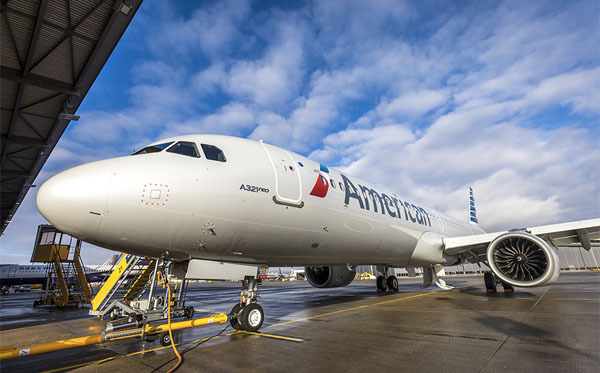 N400AN, American’s first Airbus A321neo, touched down at Pittsburgh International Airport (PIT) shortly before noon Feb. 1. 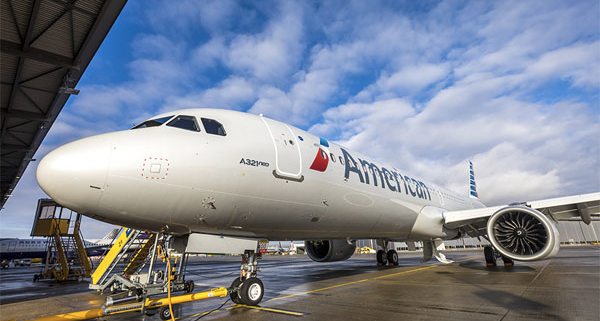 After clearing customs, the plane will head to American’s Base Maintenance facility at PIT, where it will spend a couple of weeks undergoing the usual extensive acceptance checks conducted whenever the airline adds a new aircraft type to its fleet. The Tech Ops – PIT team will install ViaSat satellite Wi-Fi, conduct general ops checks and add interior and exterior placards as they customize the aircraft for American. After that, it will visit other American bases before entering service. The A321neo is scheduled to begin flying customers April 2 between Phoenix Sky Harbor International Airport (PHX) in Arizona and Orlando International Airport (MCO) in Florida. Once the company takes more deliveries, additional routes will include PHX–Ted Stevens Anchorage International Airport (ANC) in Alaska over the summer, and PHX and Los Angeles International Airport (LAX) to Hawaii later this year as the A321neo begins to replace retiring Boeing 757s. 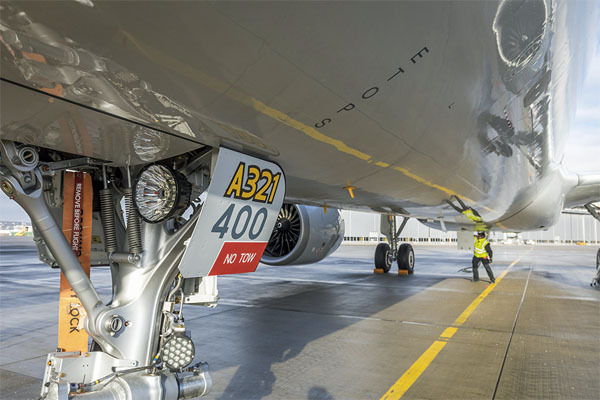 The A321 is already a versatile aircraft, and the A321neo (which stands for “new engine option”) adds about 400 nautical miles in range thanks to improved fuel burn from the new engines, putting additional destinations within reach. American has ordered 100 of these jets with deliveries running over the next several years. They seat 196 customers and, in addition to the fast Wi-Fi, include power at every seat and free wireless entertainment to each customer’s own device including free live television. Additionally, American is the launch customer for Airbus’ new XL overhead bins which significantly increase capacity. The A321neo is American’s first aircraft delivered with these bins and the company will begin retrofitting existing A321s with this same bin later this year. 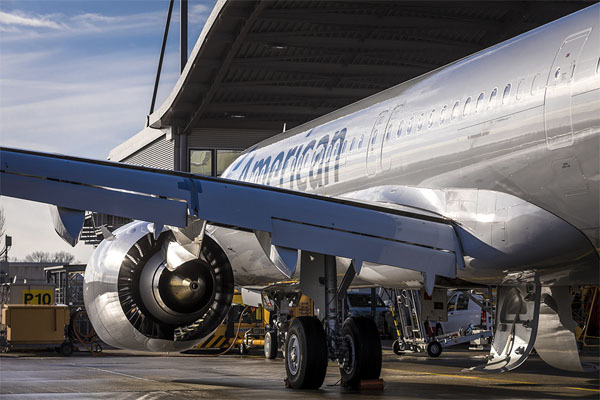 American is taking the “Cabin Flex,” or “NX,” option of the A321neo, which has a new door configuration. The A321neo is part of the order for 460 aircraft placed by American in 2011, which also included 100 Boeing 737 MAX aircraft. The aircraft from that order have transformed American’s fleet into the youngest among U.S. network airlines. When you book with us you get a dedicated and personal service!